Riding down Capital Boulevard in my childhood, my mom always pointed out old-timey firetrucks, tankers, and any other big truck that Granddaddy may have built. 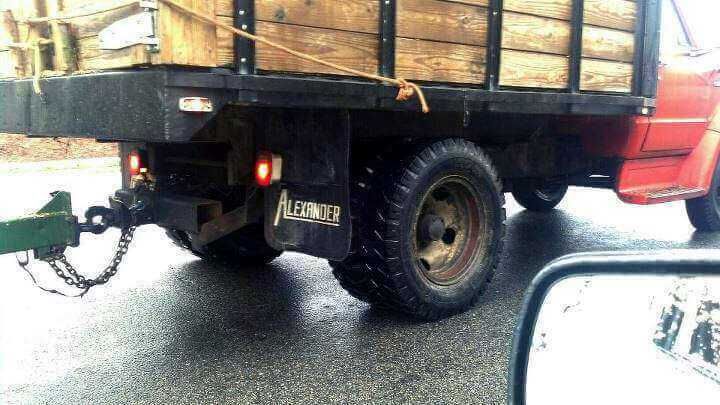 We’d watch it pass and look for the Alexander Welding sticker. In fact, if you see an old truck rumbling through Raleigh, there’s every chance it might be one that my Granddaddy’s hands have touched. He and the Alexander brothers built and refurbished them for decades, and in the 1960’s and 70’s, working out of the building today owned by Capital Ford. Granddaddy died only a month before I was born, and, as I would have been his first grandchild, he never earned the name Granddaddy in life. But he’s been featured in so many family stories–and we’ve visited his Oakwood plot so many times–that I never felt like I hadn’t met him. It’s been 35 years since he passed away, but my Grandma kept him alive in memories, and every Thanksgiving and Christmas we still recount funny and meaningful tales. 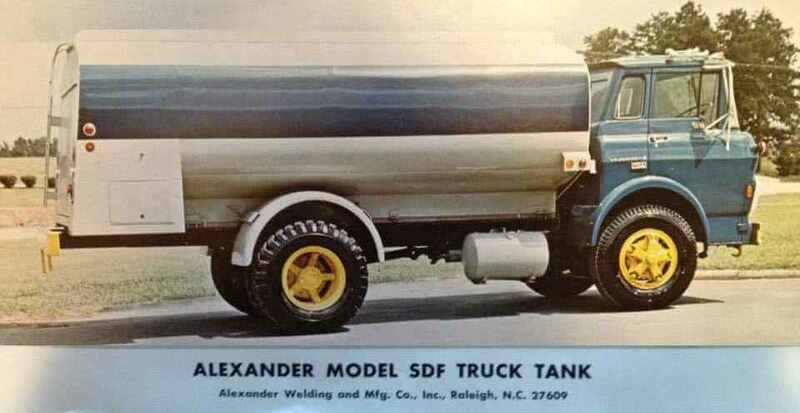 Alexander Welding started out on Pershing Rd. before moving to U.S. Route 1 in the 1960’s. I know how Granddaddy used to walk out of Alexander Welding and Manufacturing Company every day and stand on the side of Capital Boulevard (then U.S. Route 1), where he could see Mom walking out of her classes at Hardbarger Business College. He’d take a break from work just to come wave at her and smile across the busy road. I know how my mom and her brother hid downstairs one Christmas, trying and catch Santa in the act. Knowing his kids were trying to pull a stunt, Granddaddy pulled one of his own. He creaked down the stairs and walked around the tree, lingering and lingering, singing to himself, whittling away the minutes as mom and her brother nervously hid behind the couch, afraid of being discovered, knowing Santa wouldn’t visit as long as Granddaddy lingered. When their anxious giggles finally gave them away, he chased them up the stairs. 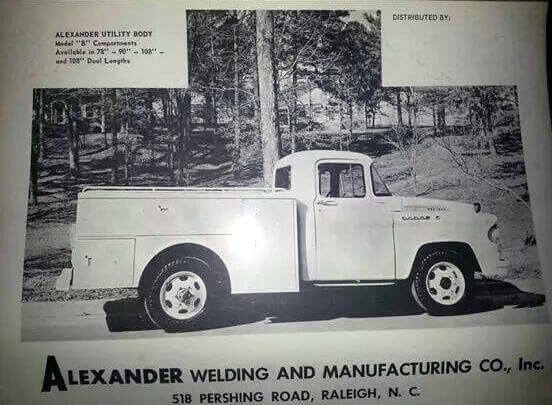 Knowing how I love ghost stories and legends, one Christmas my uncle Joe–Grandaddy’s namesake–started up on a story I hadn’t heard before: The Ghost of Alexander Welding and Manufacturing Company. Mr. Griffin was the ghost’s name. The Alexander brothers say he was quite active, especially in the early morning hours. The haunting began after one of their longtime employees, a quiet elderly gentleman named Mr. Griffin, passed away. Suddenly, strange occurrences began frightening some of the part-timers. 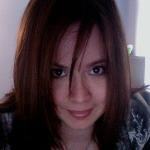 But one day the hood of a truck slammed shut, startling even the Alexanders. There was no breeze, and no one was standing nearby. Soon, the employees began feeling slightly uncomfortable working alone at night. One night Uncle Joe, who was just a kid hanging out around the shop with Granddaddy in those days, remembers the most eerie incident of all. One of those old trucks was parked, silent and still, in a far corner of the lot. “It’s moving! Watch out!” one of the part-timers shouted. The truck started to roll in full-reverse, backing out into the empty lot. “Who’s driving that thing?” yelled Tom. The driver’s seat was empty. Tom ran towards the slowly rolling truck, opened the door, and climbed in. He hit the brakes, and the truck stopped moving. Being a third-generation Raleighite, I hear all the stories that never make it into the newspaper or books. Eventually, Granddaddy died, and his brothers sold the business. Capital Ford moved in, probably never knowing about Mr. Griffin. It makes me wonder: Is the Capital Ford Building still haunted? Do they still experience strange phenomenon? Of course, if my Uncle Joe, cousin Kristen, or even my own genetics are any indication — Granddaddy and his brothers were certainly pranksters. It’s almost enough to make me wonder if Mr. Griffin wasn’t just the Alexander Brothers, pulling gags on their employees. And if that’s the case, it’s still a great story; one of those intimate memories, those family legends that build the foundation of Raleigh itself. I love you Granddaddy. I’ll keep looking for your trucks.